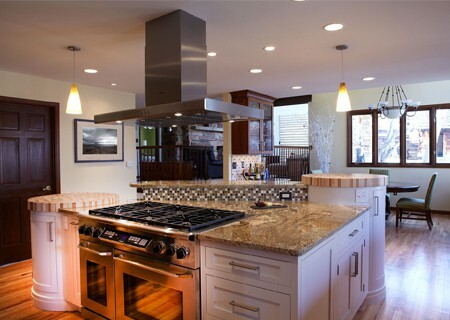 This kitchen was once closed off from the rest of the house with a disjointed layout that didn’t function well for the homeowners. 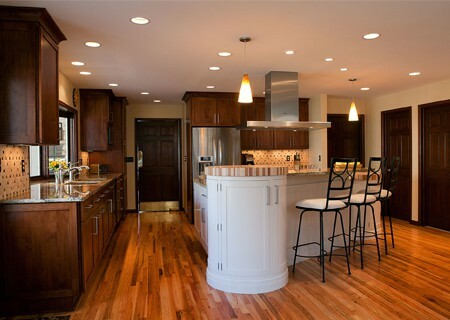 Removing a wall and reconfiguring cabinetry created an open floor plan with tons of space and natural light. 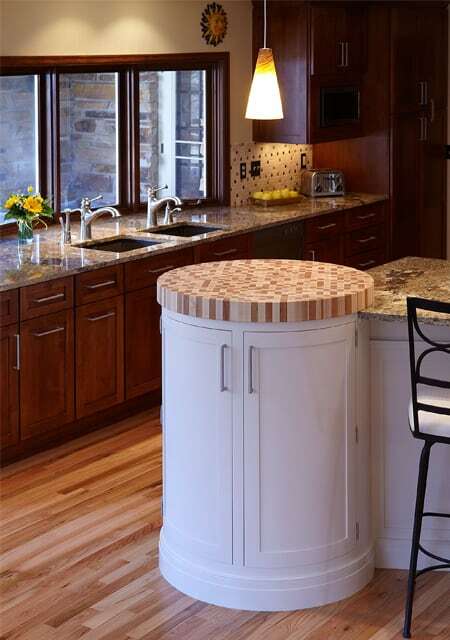 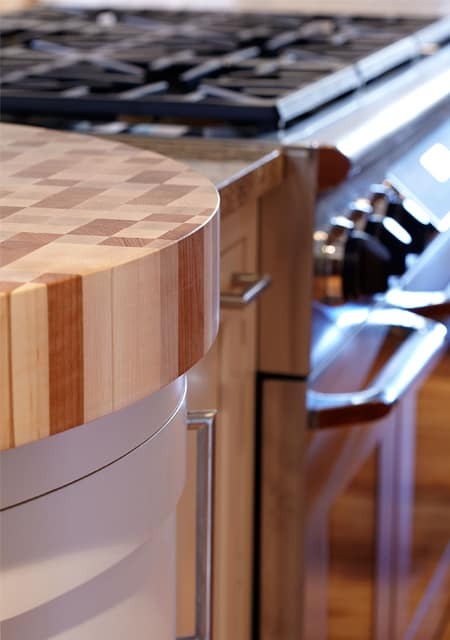 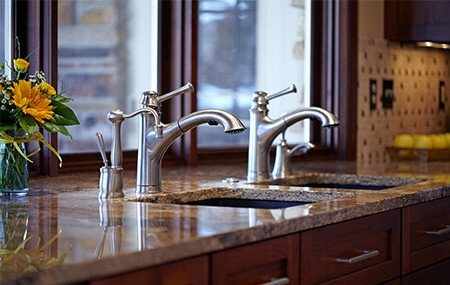 The centerpiece is the custom-designed island with two round, butcher block-topped cabinets flanking a curved granite bar. 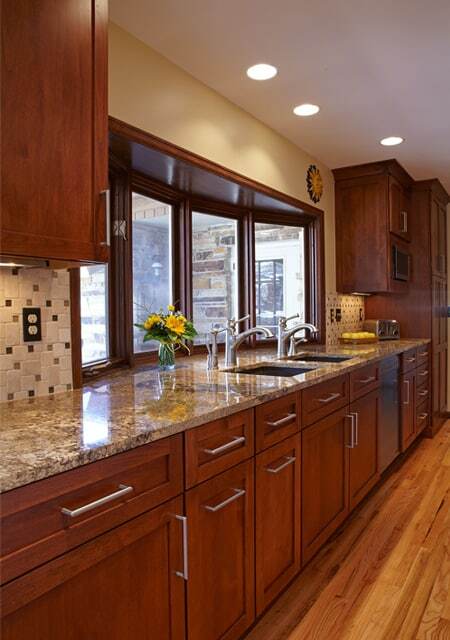 The creamy white cabinets contrast with the rich, wood tomes of the perimeter cabinetry. 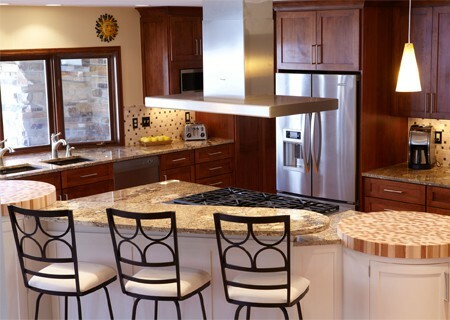 The large island offers plenty of prep space. 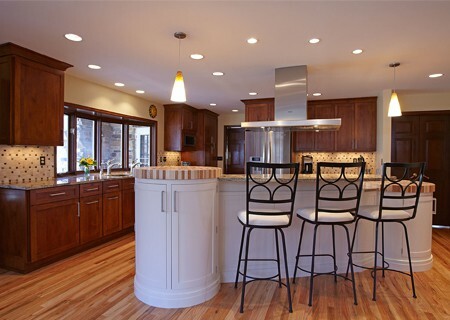 In the dining area, a built-in desk allows several family members to be in the space at once cooking, working or eating.